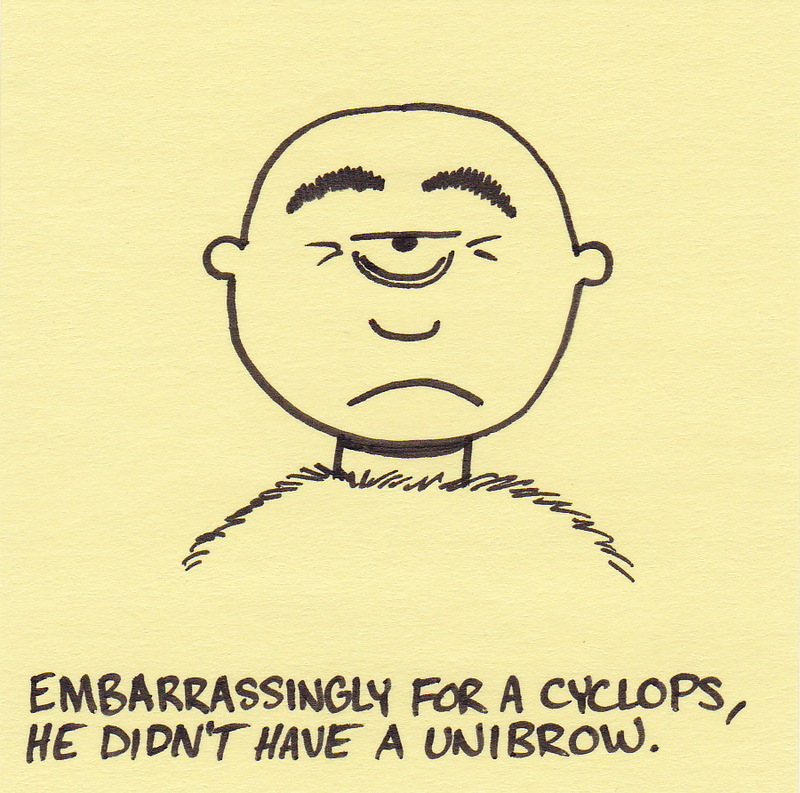 Embarrassingly for a cyclops, he didn’t have a unibrow. I noticed as I uploaded this drawing that I drew the cyclops wearing fur clothing. He is obviously not as sophisticated as the psycholoclops I posted a few months ago. 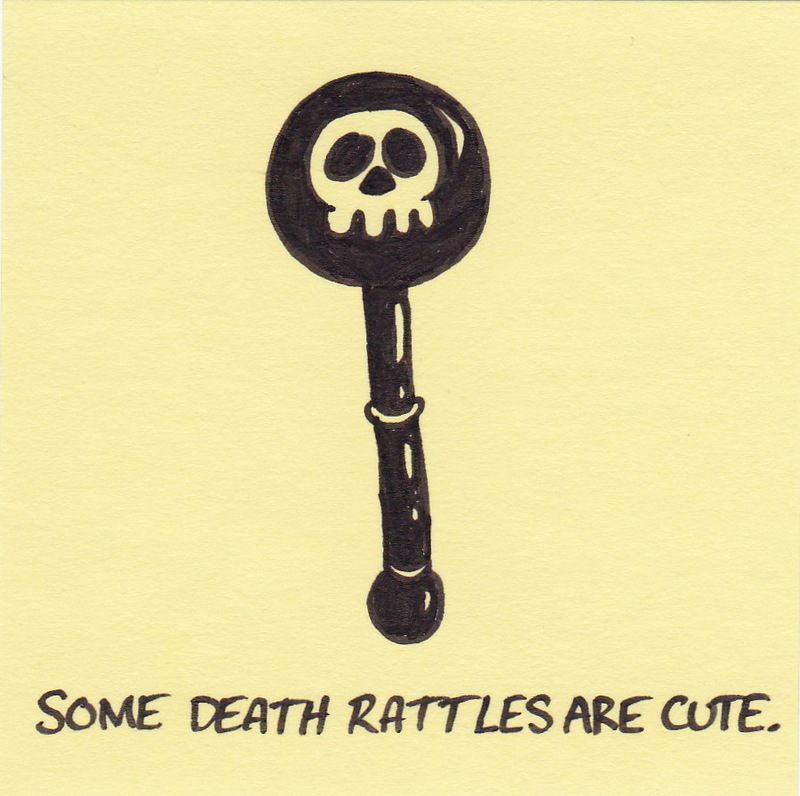 Some death rattles are cute. When I was very young, our family lived on a small farm in eastern Kansas. On the farm was a catfish pond that we spent many hours fishing from. I was the only member of the family to ever pull a fish from that pond. It was one of the most exciting moments of my young life. After carrying the fish back to the house, we ran into one small problem. We put it in the kitchen sink before it was dead. Once it was in the sink, the angle made it impossible to deal a fatal blow – and the fish was large enough that we couldn’t get it out of the sink again because of it’s erratic thrashing. I remember watching my father hit, stab, and even shoot that fish with a bb gun. But most of all, I remember the fish crying. Some varieties of catfish can produce squeals, groans, and moans. I don’t know if these noises were it’s frantic death rattle, or just an attempt to create an everlasting guilt in the young boy that caught it. Either way, it was a long and drawn out process that I’ve never been able to forget. Worst of all, I found out that night that I didn’t like the taste of catfish. I still don’t. At least the ones that cry. 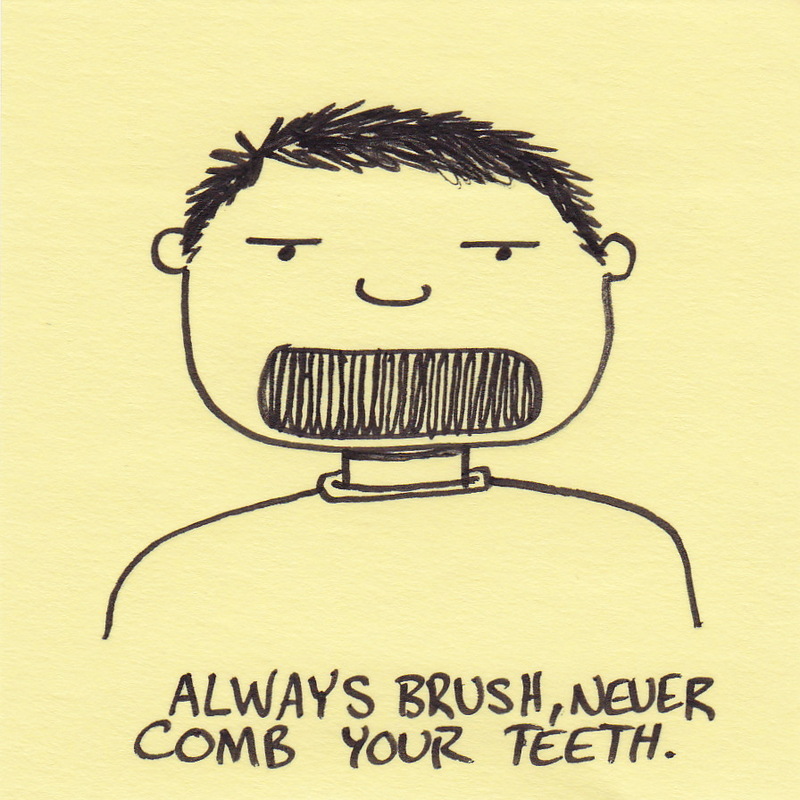 Always brush, never comb your teeth. When I was in third grade a dentist came to show us the proper way to brush our teeth. They gave us little red tablets to chew up. The red coloring from the tablets was designed to dye the plaque on our teeth red. The object of the activity was to help us see where we needed to brush our teeth better. The result was a horrible shame session where anyone with poor oral hygiene was teased ruthlessly for months afterward. Although I was not one of the unfortunate ones, it was a stern lesson on the dangers of public humiliation. On the plus side – to this day, I NEVER forget to brush my teeth. It means that you have more than you actually need. This came to mind as I spent time cleaning some of the 250 hooligan (small smelt-like fish) I caught a few weeks ago. 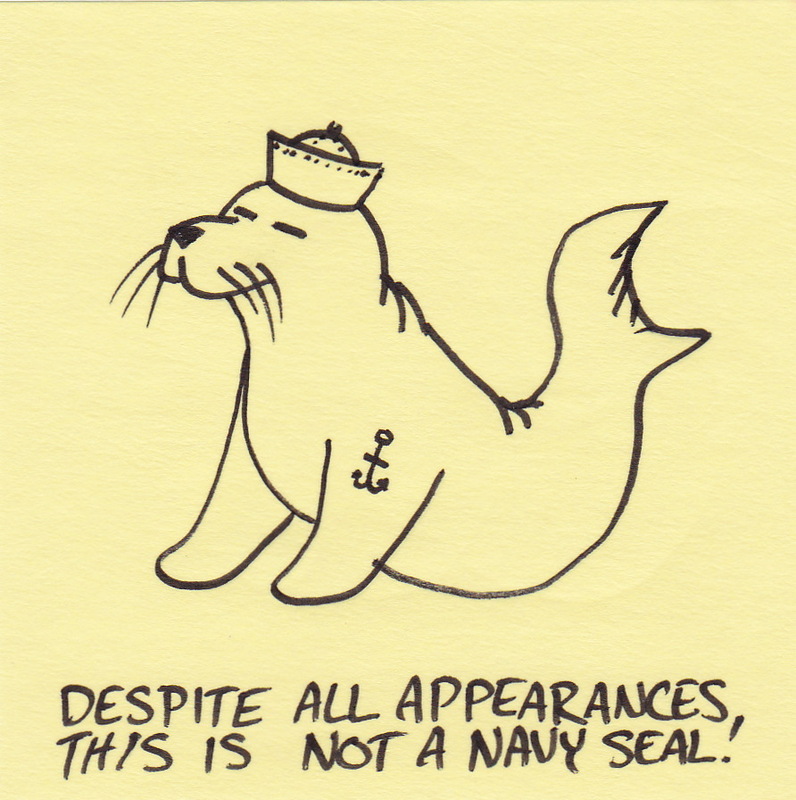 This is not a Navy Seal. I debated drawing the seal with the hat shown or an officer’s style hat (the kind with a brim). After a few minutes deliberation I made a decision. I decided I must have too much free time today. 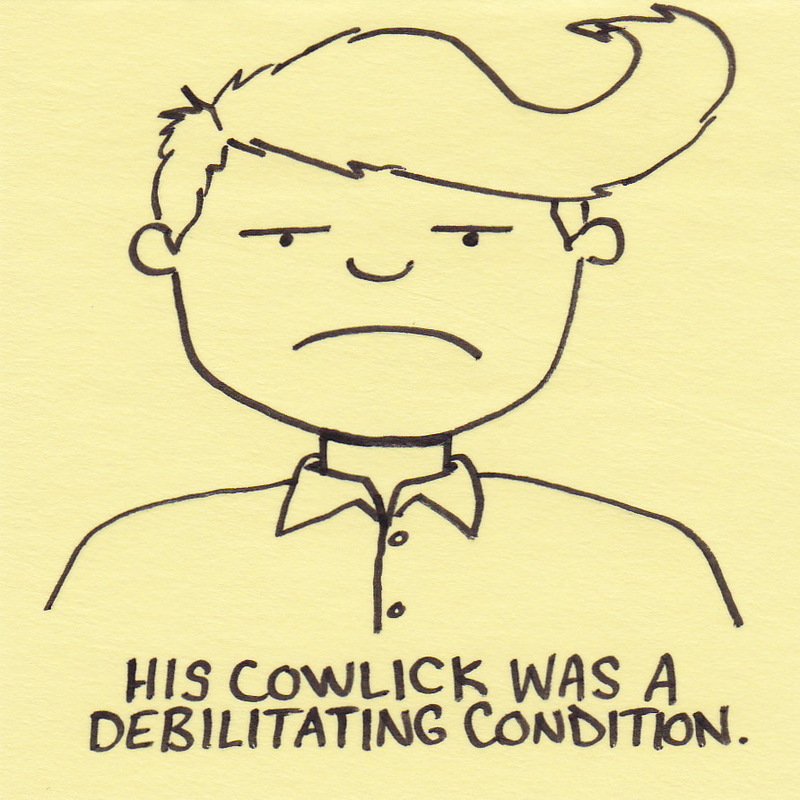 His cowlick was a debilitating condition. My hair pokes up in the places it should lay down and lays down in the places that it should poke up. If the commercials on TV are any indication, many people have similar problems. My solution is short hair. Yikes. 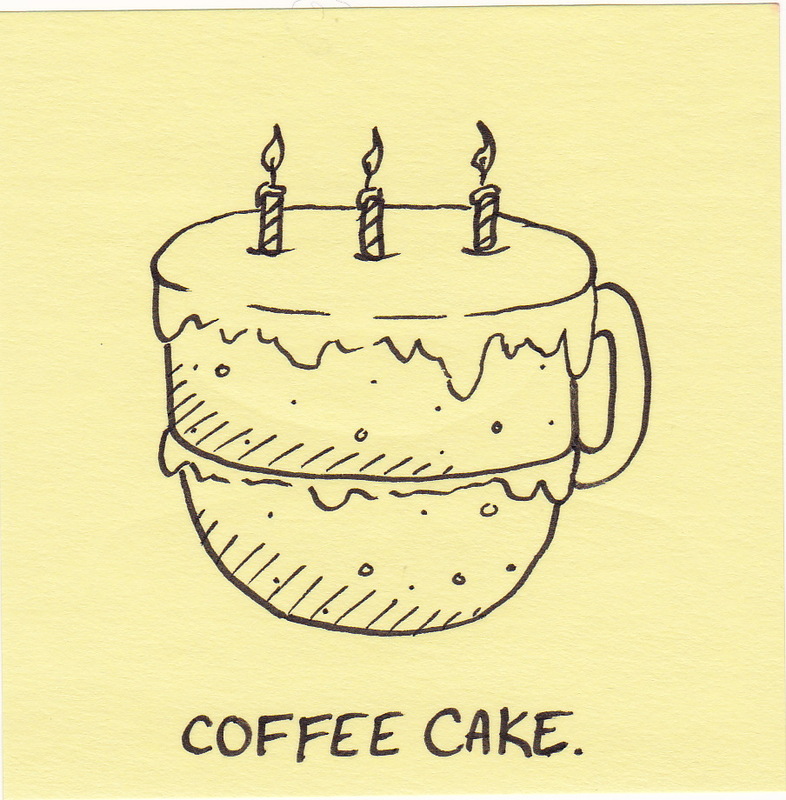 Another coffee themed drawing. One might begin to think that my life revolved around coffee. 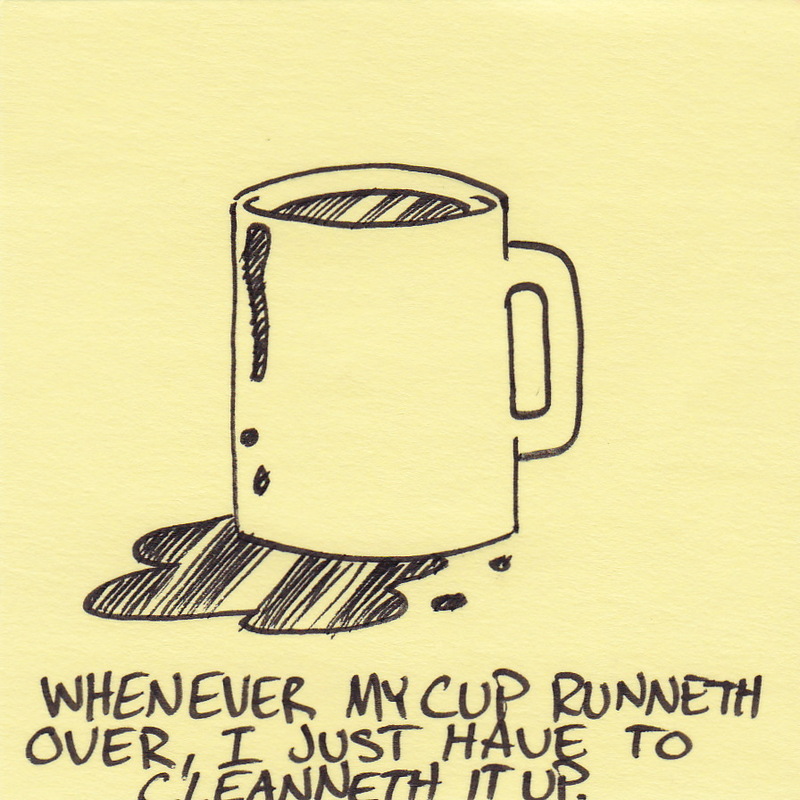 Let me just clarify that I only drink one cup per day. Really. You are currently browsing the Inkjot blog archives for June, 2010.